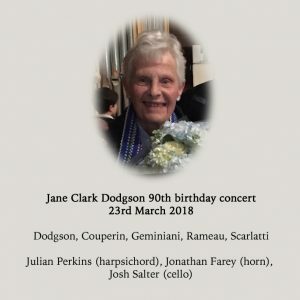 On Friday 23rd March, a throng of lunchtime concert-goers were treated to a delightful gem of a recital – the celebration of Jane Clark Dodgson’s 90th birthday at St Mary’s, Barnes and part of the sixth Barnes Music Festival. 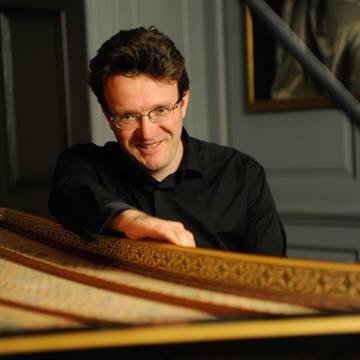 Jane Clark Dodgson, Stephen Dodgson’s widow, herself a harpsichordist and Baroque specialist of some repute, picked a number of favourite pieces by Stephen nestled between a choice selection Baroque chamber works. 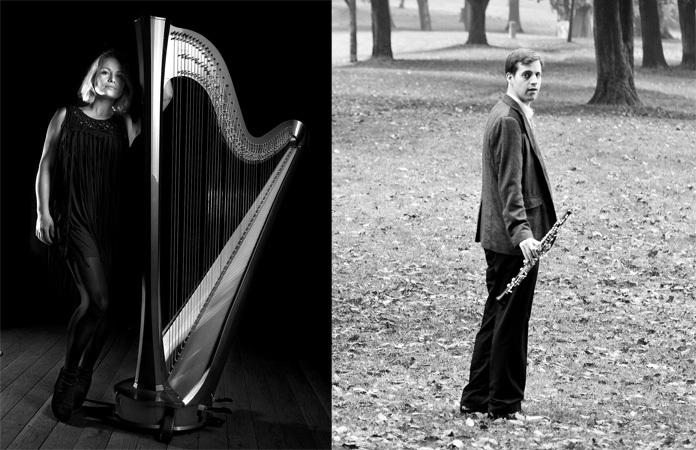 Thoughtful and entertaining programme notes gave us a little context to all the pieces and also a bit of background to Jane and Stephen’s own musical journeys. 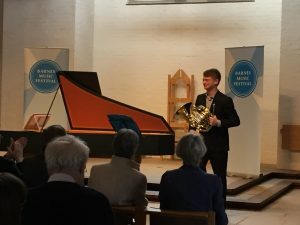 At the centre of the performance was harpsichordist Julian Perkins. Taking us on a short exploration of four pieces by François Couperin (Les Moissonneurs, Les Baricades Mistérieuses, Les Bergeries and Le Moucheron), his playing was sensitive and lively in equal measure, and at times rich and luxuriant. (Not a hint of Sir Thomas Beecham’s ‘two skeletons copulating on a tin roof in a thunderstorm’ here). 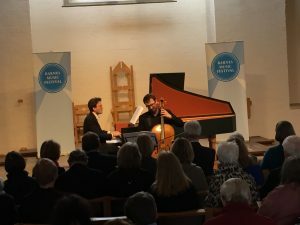 He coaxed so many sounds of his instrument and worked beautifully alongside the mellifluous line and colour of cellist Josh Salter with whom he then performed Francesco Geminiani’s Sonata in C major Op. 5 No. 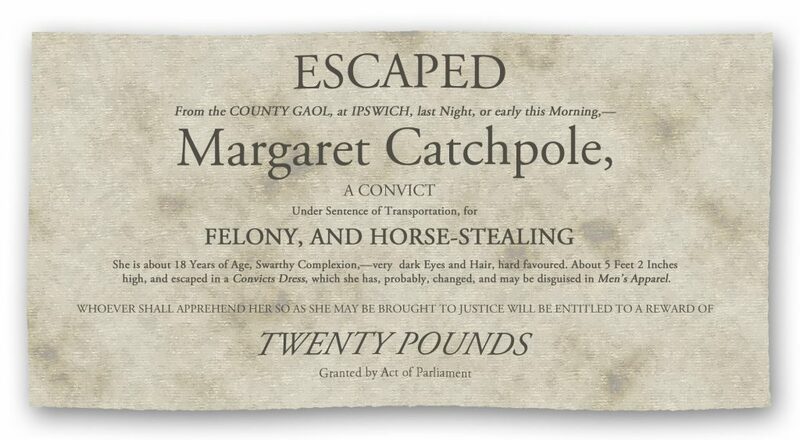 3, a work which ranged from plaintive to plain gutsy. Two of Stephen Dodgson’s inventions for harpsichord followed. ‘Plush & Roses’ (Set 2 No. 5) is a work which started with sense of peace and (to me) sunset before going through an unsettled journey, arriving at journey’s end back the peaceful sense of warmth. In contrast ‘The Worm’ (Set 1 No. 5) proved vibrantly playful as if teasing and challenging the listener. Julian Perkins then introduced Jean-Philippe Rameau’s Les Trois Mains, the sound of the ‘three hands’ at the keyboard being achieved by hand-crossing before Jonathan Farey expertly performed Stephen Dodgson’s extraordinarily striking and haunting unaccompanied Cor Leonis (‘The Lion’s Horn’) which used the horn’s range of sounds and tuning to great and atmospheric effect. Finally, Julian Perkins returned to round off this wonderful concert with three short and contrasting Domenico Scarlatti sonatas.